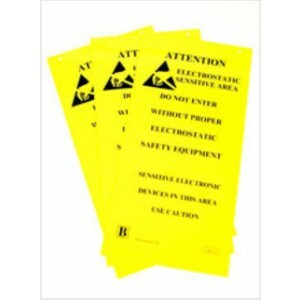 Bright Yellow two-sided sign with black print. 10″x20″ with two precut holes suitable for hanging. 3 signs per pack. 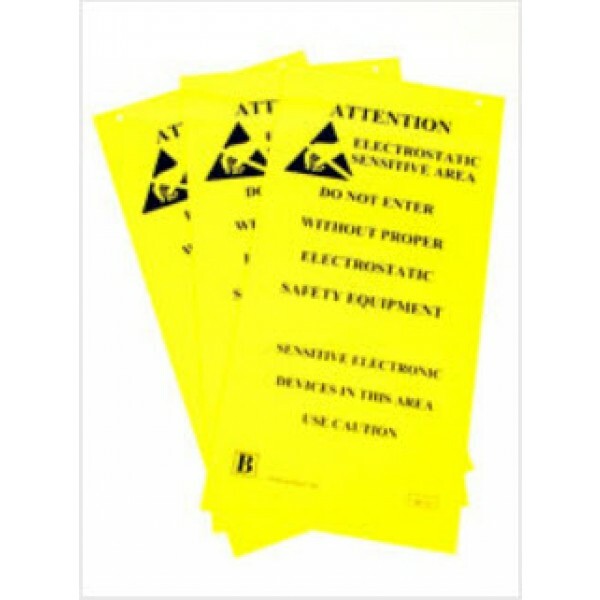 Large black print lets employees know they are in a electrostatic sensitive area.